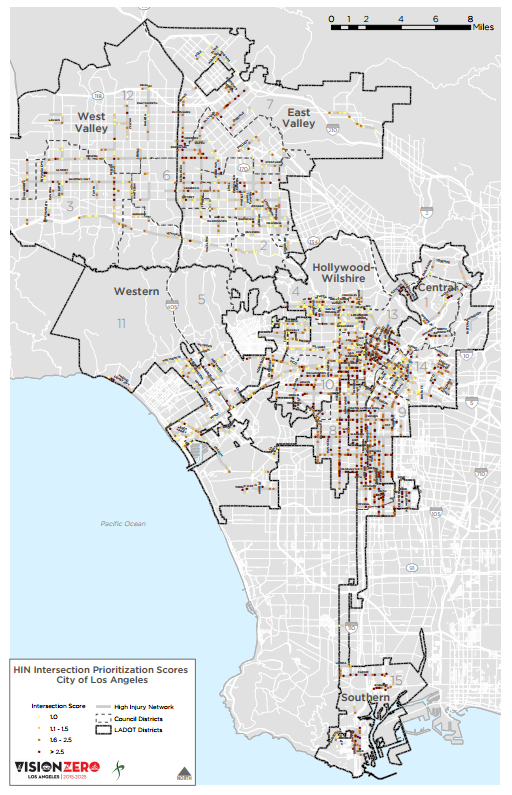 At the May 17 convening of the Vision Zero Task Force, the Los Angeles Department of Transportation (LADOT) presented a new version of the High Injury Network (HIN) map. This new map includes a new score for each intersection to begin to prioritize Vision Zero efforts in Los Angeles. LADOT has been undertaking a technical collisions analysis as part of the initial steps towards a Vision Zero work plan. This analysis seeks to find patterns among the various collisions along the HIN to better inform approaches to engineering, education, and enforcement. However, while the HIN represents only 6% of the city’s street network, at roughly 450 miles there is still need for additional location prioritization. Low-Cost, Low-Complexity: Focus on locations that can be easily fixed through low-cost and low-complexity countermeasures. These six potential priorities were put to a survey with the Vision Zero Alliance, the Vision Zero Executive Steering Committee, the Vision Zero Task Force, the city’s Pedestrian and Bicycle Advisory Committees, and each of the City Council offices. Additionally, the Vision Zero Alliance distributed the survey in an online setting to their network. This new map has afforded each of the Vision Zero Subcommittees the ability to zero in on locations that are higher priority. Stay tuned for the launch of the Vision Zero Action Plan, which will include a prioritized list of corridors and intersections on this map. The highest scoring intersection, at 7.5, was Bonnie Brae / Olympic. The Coro Fellowship in Public Affairs is a rigorous and demanding program designed to give fellows real-world experience working within local government to design and research innovative policies. 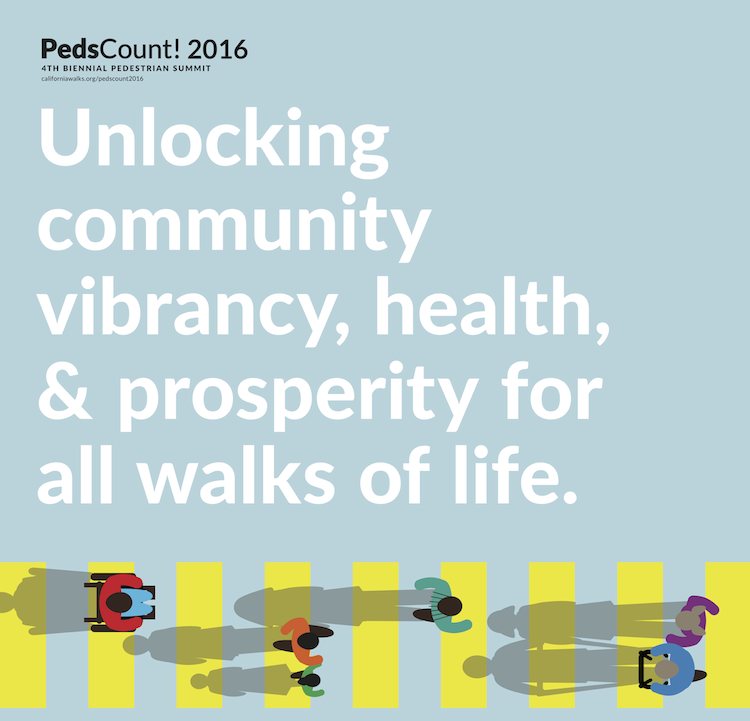 This year, Vision Zero was very fortunate to be partnered with two Coro Fellows who were tasked with drafting our Education Strategy. 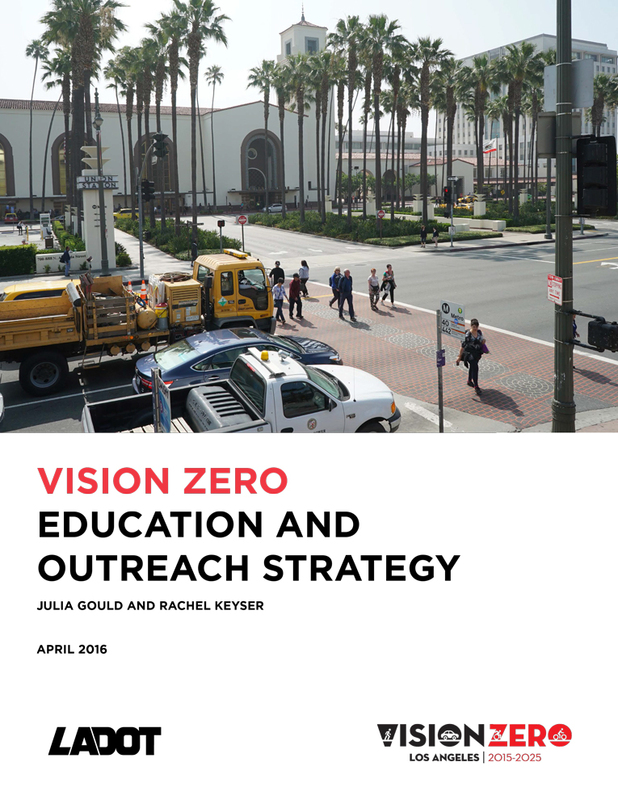 Over the course of five weeks, Rachel Keyser and Julia Gould worked tirelessly to develop this report which includes interviews with 46 Los Angeles stakeholders, a literature review, and numerous key insights into how we can best message Vision Zero in Los Angeles in order to create culture shift. This report will serve as an indispensable resource for our education sub-committee, our communications consultant, and ultimately our Vision Zero Action Plan. Motivate safer traffic behavior among all those who travel in Los Angeles, with emphasis on demographics most likely to exhibit dangerous behavior. Use multi-faceted mediums, message-tested content, grounded in behavior change theory to target high-risk populations and behaviors at both the individual and institutional levels. Mass-media and on-the-ground education efforts will need to be tailored to specific population segments based on campaign priorities and additional market research. Messaging content should stem from the underlying factors that drive dangerous behavior, as well as barriers to the successful adoption of Vision Zero core principles. Overall, the campaign should seek to not only raise awareness of Vision Zero, but change behaviors through shifting social norms around transportation and traffic safety. 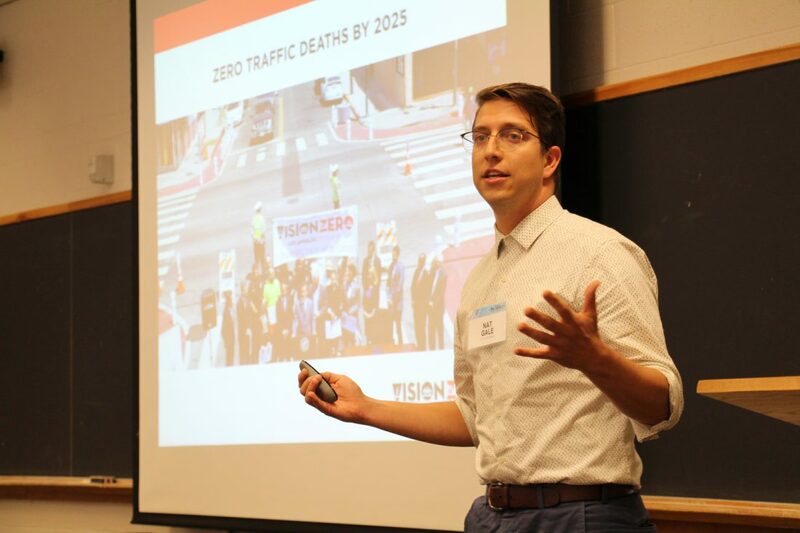 From June 12 – 15 2015, Vision Zero Los Angeles took part in the first ever “Big (Transportation) Data Big Cities” Conference in Toronto, ON, hosted by the City of Toronto and the University of Toronto. The Toronto Transportation Services Department has recently developed a data analytics group, under General Manager Stephen Buckley and led by Jesse Coleman, who put the conference together. The days’ events focused on the growing use of “big data” in transportation departments, academia, and industry. The first day of moderated sessions primarily focused on industry’s approach to transportation data, and included presentations from companies like IBM, TomTom, Thales and Here. There was a robust back-and-forth discussion on the challenges for industry to meet the needs of the public sector. The second day of moderated sessions included mainly public sector and academic presentations, with no one from industry in the room. This allowed for candid conversations about how transportation departments are incorporating big data analyses into their workplans, and the challenges of recruiting technical staff to the public sector. The Los Angeles Department of Transportation (LADOT) was represented by Jay Kim, Assistant General Manager for Mobility Management, George Chen, lead engineer of the ATSAC research team, and Nat Gale, Principal Project Coordinator in the Active Transportation Division. George presented on the history and current use of the ATSAC data, and Nat presented on Vision Zero’s assembly and analysis of collision data, as well as a few recent use cases. Overall, the conference provided an important starting point in what will be an on-going discussion on the role of cities in the big data movement. The final day involved a discussion around next steps, including the desire to develop more opportunities for knowledge-sharing and developing data standards. Stay tuned for what comes out of this group! Mr. Nakagawa’s training is in studio arts, sound, and public art. His most recent position was as a Senior Public Arts Officer for LA Metro, and his past experience includes working with hundreds of communities across Los Angeles and multi-disciplinary public transportation design teams. 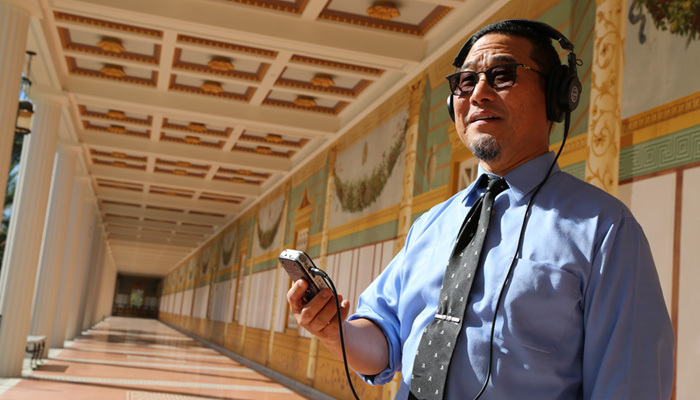 He is the first artist in the Creative Catalyst Artist in Residence Program, developed by the Department of Cultural Affairs to connect Angelenos with Mayor Garcetti’s vision for a safer, more sustainable, and dynamic Los Angeles.